Pills, Pills! So many pills! We have been home for a little over three weeks now and have finally gotten a handle on all of these pills we are supposed to be taking! 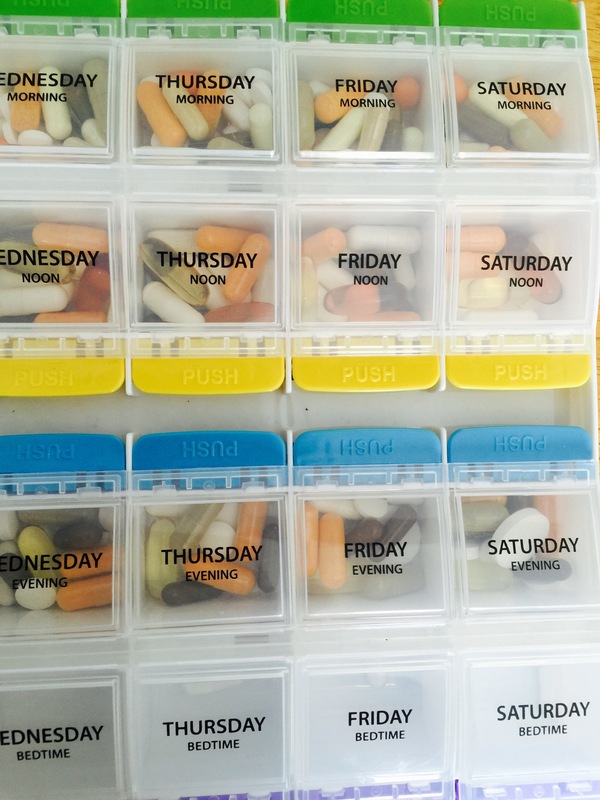 Each of us have approximately 45 pills to take each day. 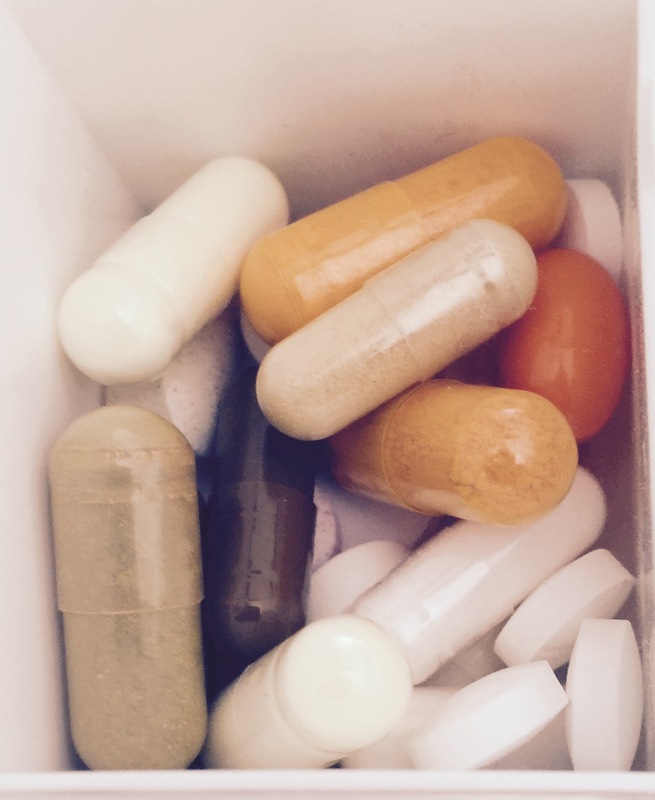 Each type of pill has a specific dosage and time they need to be taken. Throw in the fact that Chloe’s and my protocols are varied from each other and you can imagine the confusion! I found a large sized pill sorter with the 4 separate times for medication we need at Walgreen’s. Once a week now I grab each of our supplement lists, the huge box full of the packages, and our geriatric pill sorters. After everything is all laid out on the kitchen table I go through and fill us up for the week. It takes about an hour but really eliminates any confusion and makes the week go so much more smoothly. Over the next six months we will be able to start removing some of the supplements according to the schedule they gave us- a few at one month, a few more at two and three months, then done at six months! That will be very, very nice! Next Post It’s the little things.